No more tears and tantrums at the hairdressers with Snips! 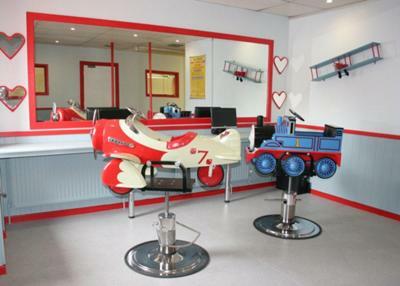 Ipswich's first dedicated children's hair salon has arrived! Special themed seats (choose from Thomas The Tank Engine or Annie Aeroplane), fun cartoon dvds to watch and a visit to the 'reward chest' for every child. Special certificates for first haircut too. Plus you can combine a haircut with a play session! Just wondering when it's says first hair cut certificate is the the price for the actual certificate only ?